Whilst searching for a fresh alternative to traditional gallery canvases, artist Marguerite Bartherotte turned her hands to fashion. Boyfriend style cotton button down shirt. 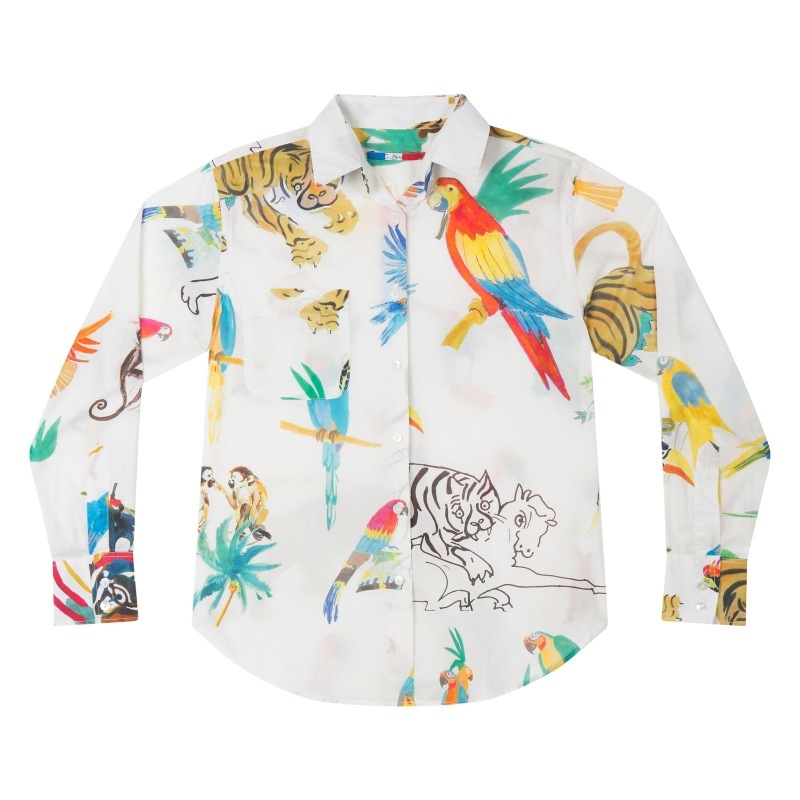 Animals print all over. One front breast patch pocket and double button cuffs. Front button down closure. Pearl buttons. One of a kind. Numbered serie. The name of this artwork is "Animals".